Am I right when I say cereal is an amazing thing? You can have it for breakfast, lunch, snacks, dinner and dessert! Cereals are so convenient and I love using them for almost anything. I've been loving the new Quaker® Real Medleys® granola multigrain cereals. They have a delicious peach, apple, walnut medley and a cherry, almond, pecan medley. Both are fabulous! I've also been loving Quaker® Oatmeal Squares, Quaker® Life cereal, and the Quaker® Simply Granola. I was able to find my Quaker® cereal at Walmart in the cereal isle but you can find them at most any store that carries Quaker® brands. 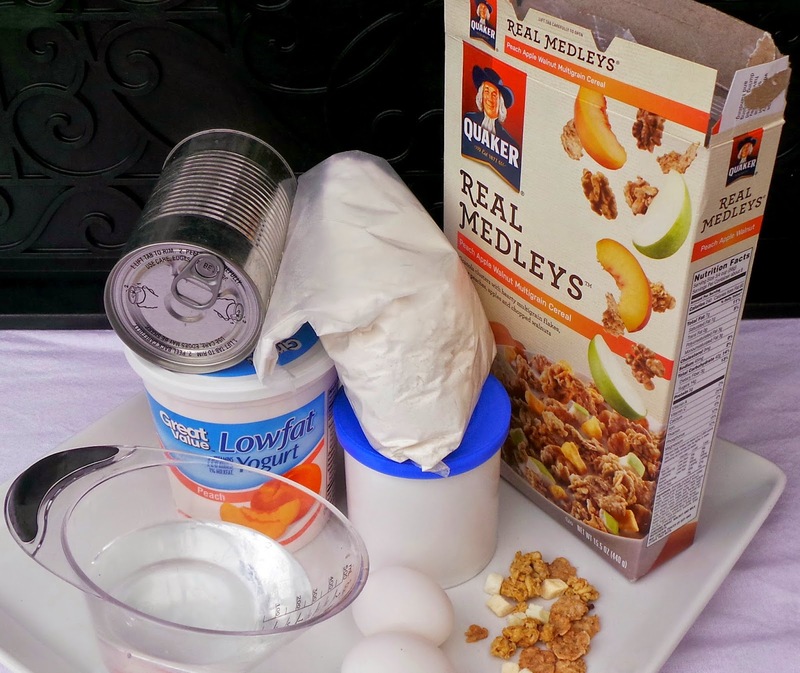 I decided to bake a beautiful cake and add some crunch by placing granola over the top. This cake is phenomenal I tell you, simply phenomenal! My family adored the moist cake with its crunchy topping. It's a great dessert or you could even have this for breakfast. How do you like to snack? These Quaker® cereals are also really great to take on the road. You can just fill a baggie or container with a serving and easily snack anywhere. We love to take a bit of cereal with us everywhere we go. Baseball games, baton twirling class, rollerskating, soccer practice and games, trips to the park and more. Cereal keeps us fueled. 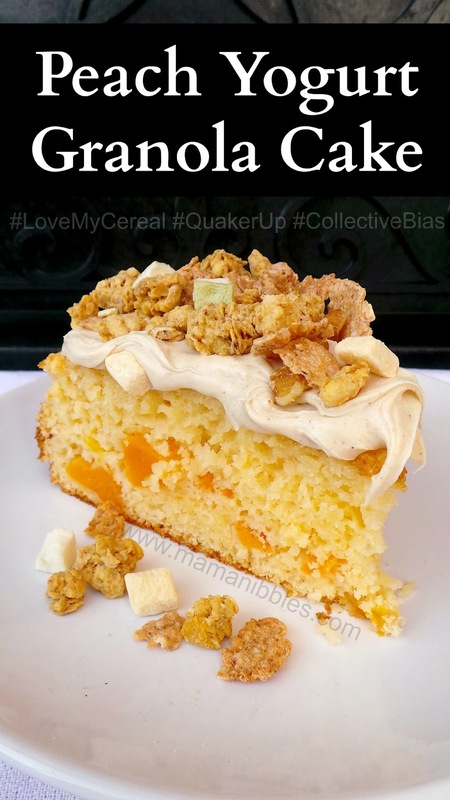 Follow Quaker® on Facebook, Twitter (#QuakerUp) and Pinterest too.